Manufacturer, exporter and wholesaler of beach umbrella, canopies, advertising tents, demo tent, promotional tent, champing tent, garden tent, garden umbrella, canopy tent etc. We are also engaged in offering a superlative range of promotional umbrellas to our clients. These umbrellas are manufactured using genuine raw material and are available in varied sizes and designs to meet the diverse requirements of our clients. Moreover, these umbrellas are eulogized in both domestic and international markets owing to their superior finish and high strength. 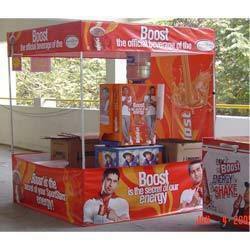 Our umbrellas are extensively used for promotional campaigning of different brands. We manufacture & supply an entire range of Garden and Resort Umbrellas. Our umbrellas deliver optimum functionality standards in the given operations. It protects the users from scorching sun and provides cool shade in the hot summer season. These are best suited for outdoor use for the protection of users from the elements. We offer our range at industry leading prices. These umbrellas are double layered for easy ventilation of fast blowing air. 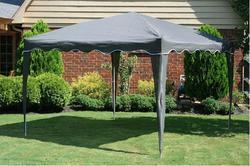 Our industry is also known for offering a quality range of Motorized and Manual Gazebo. This motorized and manual gazebo offered by us is lighter in scale and depicts an elegance of that period. These gazebos are individually hand crafted by our highly skilled craftsmen. A complex composite of fiberglass and compatible components are utilized to make these extremely durable, safe and attractive structures. These gazebos are known to be weather resistant, light weight and maintenance free. 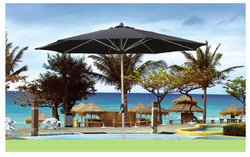 Our Pool umbrella are in good quality and competitive price. The known names are Kiosks, Display Tents, tents, display Kiosks, product display tents, broucher selling tents, exibition tents, society product promotion tents, road display tents, advertising tents. These are available in tetron cloth as well as flex material. It also has a carry bag in which the entire tent can be folded after or before use. It is very handy. The common size available are 4*4*7 till 10*10*7. 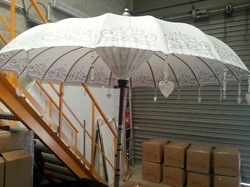 Enriched with a vast industrial experience, we are engaged in manufacturing a wide array of garden umbrellas. Fabricated using premium quality raw materials and advanced technologies, our range is sourced from recognized and reputed vendors of the industry. We ensure that our range must be supplied without any damage and safely, so our experts keep an eye on all the supplying processes. Water proof, tear resistant, durable, colorfastness and high quality are some of the features of our range, which make them highly acclaimed and appreciated by the clients. We offer our range in various specifications and at feasible rates in market. An exclusive range of our garden umbrellas can be customized for shapes, sizes, colors, strength, forms and others. 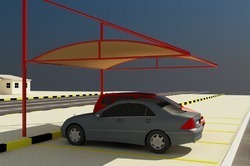 These umbrellas provide protection against harsh and bright sun rays. Easy to install and maintain, our range is broadly used in beaches, restaurants, resorts, malls, and gardens. 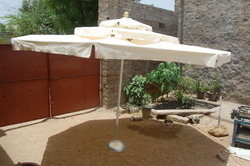 Finely stitched and designed umbrellas offered by us are ideal for outdoor usage. Apart from this, our range can be used for promotional, advertising tools and product demonstration in shopping centers and outside housing complexes. Our umbrellas are made to suit extreme weather conditions. 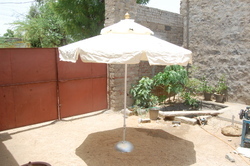 We at "hills umbrella industries" are the leading manufacturers & exporters of all types of tents & garden umbrellas. Our all products are folding. These are manufactured using best quality of fabrics & materials. we are engaged in offering our clients with canopy tents with aluminium/iron pipes that are widely used for promotional purposes in restaurants, commercial complexes and canteens. 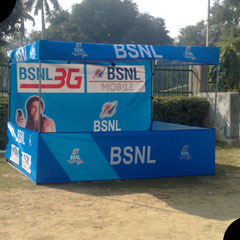 Canopy tent made of flex as well as tetron material. Available in different shapes, sizes, patterns and designs, our tents are known for their easy assembling, lightweight and complete waterproofing. In addition to this, our tents can be customized as per the specifications detailed by the customers at most competitive prices.sizes from 3x3ft till your reqirement. 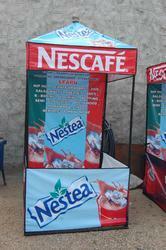 we provide our canopies with different types of printing and logos as desired by the companies. Also, these are provided in square or rectangle forms with conical heads. 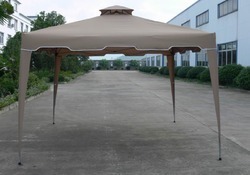 These canopies are foldable & portable and can be used in all the seasons. 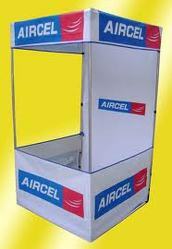 We manufacture these canopies in compliance with set quality standards to attain complete client satisfaction. The garden tent is ideal to establish a strong theme for your party, elegant and sophisticated dinner or wedding. great for farm house stay, lunch and pool side party. Fitted in iron or bamboo, foldable and easily portable. Available in a wide variety of exterior and interior color combinations and can be customized as per your own choice of style and color. Our organization offers Event Tents which are designed and fabricated using the high grade of raw material procured form our reliable sources. 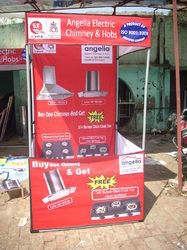 As there is increase in competition marketing department use our products as the main asset for promotion. Moreover, these are provided in various designs, styles, shapes and sizes that are perfect for the exhibition of the products and promotional events. These are customized by printing logo & designs according to the customer requirement. -Flexible etc. These Structures have a wide application for Open Air Restaurants, Terraces, Gardens, Events, Car Parking, Resorts, Live-Ins. We ar manufacturing party tent, Gardn tnt, outdoor tent, event tent, garden tent, food pavellion, pagoda tnt, wedding tent which are made of the top quality materials. Our party tents are ideal for organizing parties and provide the flexibility to hold a party at your preferred choice of venue. Available in a multitude of designs, styles, sizes and finishes, our range of party tents and portable party tent promise a reflect a festive look for your special occasions and events. 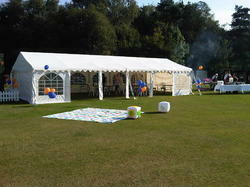 We offer our party tents and portable party tent at industry leading prices. We are engaged in Manufacturing Canopy folding tent making machines. The Canopy making plant is fully automatic with 40 to 60 operations of pipe cutting and 40 to 55 operations of pipe mobbing per minute. The cutter machine do not produce any ohm in the pipe from outside as well inside while cutting. One steel die of plastic gutka which prevent the unusual cutting of elastic. One Gas welding for welding of corners with 3 molds of corner joints. 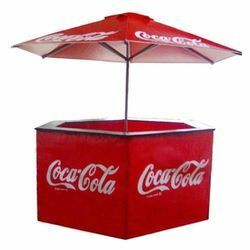 We are manufacturing hotel umbrella in various colors, designs and patterns. Our hotel umbrella are offered with immense options to make a choice from. Having a very strong framework, these side pole cantilever umbrella are strong in construct and in addition to this, these demand minimum maintenance. 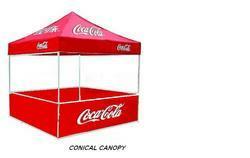 We offer a variety of Roadshow Tents that can be availed in a variety of shapes and sizes and colors. Made from quality tetra nylon fabric, the frame of the tents are made from quality metal and are precisely engineered that gives them durability and operational stability. 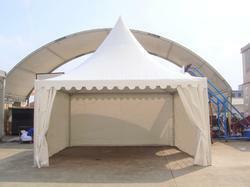 Portable, light weight, our range of road show tents are easy to carry as well as assemble. Quality material allows clarity of prints that makes them ideal for promotional purposes.